The board features iconic locations such as the Minturn Mile, and even the game pieces will be Vail-themed, such as a gondola. The game will benefit local non-profits, beginning with the Vail Jazz Foundation. “We are excited to combine Monopoly - a world-renowned, beloved board game with Vail - a legendary ski resort, to help raise dollars and awareness for Vail Jazz in a fun, exciting, interactive and unique way”. Whether you’re a businessperson or not, everyone’s played the classic Hasbro board game Monopoly. Sure, missing your turn because you’re stuck in jail can be a bummer, but who doesn’t love the opportunity to become a (play) tycoon and crush the competition? Monopoly is bringing its signature brand of fun to Vail with a game specific to the valley. 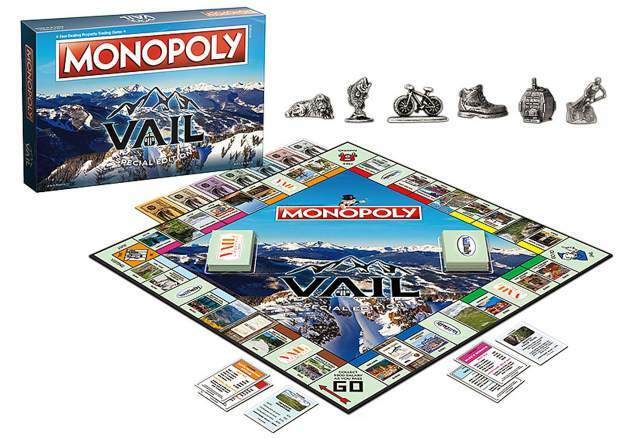 Vail Monopoly, available for purchase beginning in early December, will feature famous locations such as Sweet Basil, the Minturn Mile and Vail Pass. Additionally, the railroad spaces will be replaced with well-known mountains. Even the community chest and chance cards are themed. Sponsored by the Vail Daily and Vail Lifestyle Magazine, the cards refer to local activities such as making friends wait on a powder day and seeing a performance at Gerald R. Ford Amphitheater. Monopoly dates back to 1903, when a similar game was used as an educational tool to teach economic theory. Eventually, Hasbro would obtain the rights and part-time Aspen residents Katherine Chapin and her husband would obtain the licensing rights via USAopoly. The duo would spearhead productions of hundreds of versions of the game, including some with Harry Potter and New York themes. 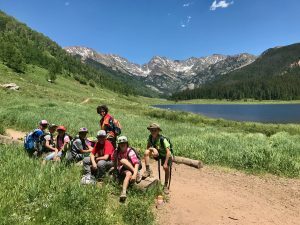 The Chapins created an Aspen-themed version of the game with business partner Lisa Baker in 2017, and the game was a huge success. The games were so popular in retailers that Baker and Chapin were selling and delivering games out of their garages during the 2017 holiday season — stores simply couldn’t keep them on the shelves. Baker noted that between 4,000 and 5,000 Aspen Monopoly games were sold within the first few weeks. The three or four month process of creating Vail Monopoly was a community effort. “Vail Valley Foundation was instrumental in helping us put together the iconic board,” Chapin said. 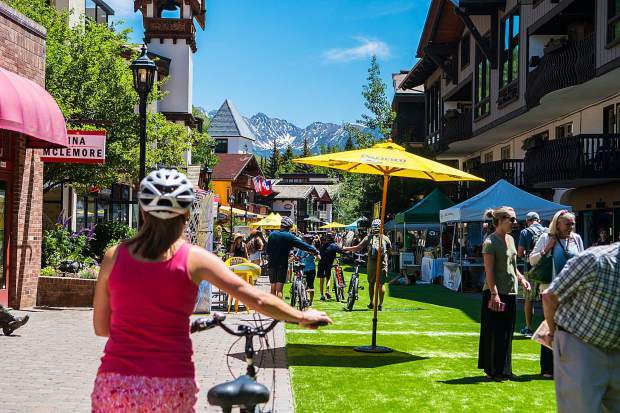 The goal, according to Baker, was to fill the board with the fun, quirky and iconic parts of Vail. It’s not just an opportunity to please the locals, however. Part of the game’s proceeds will go to local nonprofits, the first beneficiary being the Vail Jazz Foundation. Vail Jazz Foundation is a nonprofit that focuses on empowering and aiding young musicians here in the valley, as well as providing entertainment and bringing international jazz artists to the area. Stone also finds the game exciting on a personal level. “I know that I’m going to have a huge tournament with my grandkids,” Stone said. Chapin additionally noted that Aspen Monopoly has raised $60,000 for local charities and nonprofits. 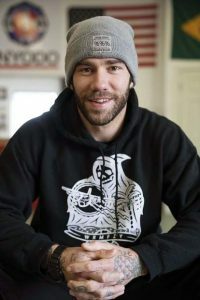 “We wanted to raise money for local nonprofits in a fun, interactive and unique way,” Chapin said. It doesn’t stop there, however, as the photo used on the box was also shot by local photographer Jack Affleck. Affleck receives a shoutout on the box and on one of the chance cards as well. Vail Monopoly will be available of purchase Friday, Dec. 7, at Gorsuch, Buzz’s Boards, the Vail Daily, Red Lion, the Vail Chophouse, the Colorado Ski & Snowboard Museum and more for $40.